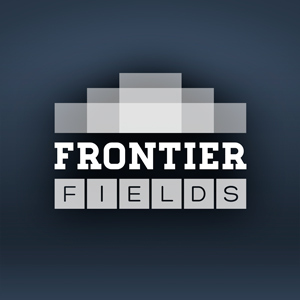 Please join us for our first Hubble Hangout that features the Frontier Fields Survey. A collaboration of astronomers are poised to make observations with the Hubble Space Telescope that will provide us with the deepest views we’ve ever had of the cosmos and give us a glimpse of what the James Webb Space Telescope will routinely provide us. Known as the Frontier Fields survey, this revolutionary deep field program will combine the power of the Hubble Space Telescope with the natural gravitational telescopes of high-magnification clusters of galaxies. Using both the Wide Field Camera 3 and Advanced Camera for Surveys in parallel, HST will produce the deepest observations of clusters and their lensed galaxies ever obtained, and the second-deepest observations of blank fields (located near the clusters). These images will reveal distant galaxy populations ~10-100 times fainter than any previously observed, improve our statistical understanding of galaxies during the epoch of reionization, and provide unprecedented measurements of the dark matter within massive clusters. The Frontier Field Survey will be pushing the limits of our beloved space telescope, making it more powerful than ever before, and providing us with some of the most important images ever taken. Our goal is to have more of these as the project progresses, so please follow our g+ page to learn about future hangouts as they are scheduled.